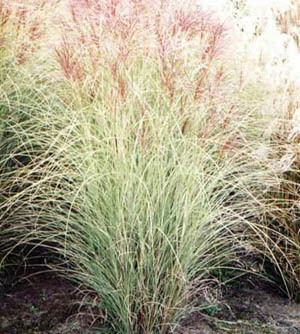 Elegant ornamental grass, 4-5' tall and 2-3' wide with very fine, narrow green leaves streaked white, giving a silvery look. Tiny, copper-red flowers in long tassels appear in late fall, turning into white plumes in winter. Use as accent plant, in groups or as screens. Perennial in Zone 6-9. Grows best in sun to part shade.